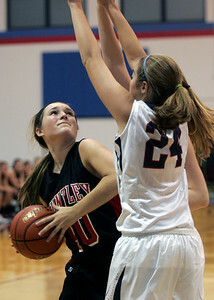 Monica Maschak - mmaschak@shawmedia.com Huntley's Bethany Zornow dribbles the ball past her opponent in a game against St. Viator at the Dundee-Crown Thanksgiving Tournament on Friday, November 16, 2012. 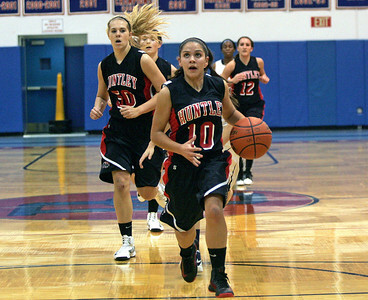 Huntley beat St. Viator 48-33. Monica Maschak - mmaschak@shawmedia.com Huntley's Kayla Barreto maneuvers the ball around her opponent in a game against St. Viator at the Dundee-Crown Thanksgiving Tournament on Friday, November 16, 2012. 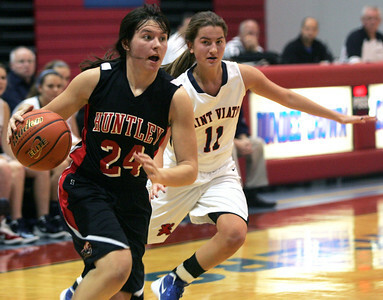 Huntley beat St. Viator 48-33. 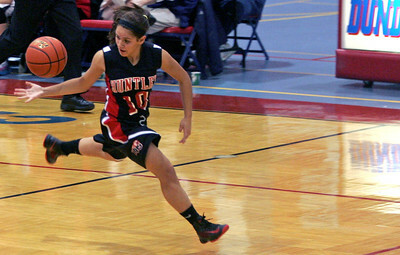 Monica Maschak - mmaschak@shawmedia.com Sam Andrews, for Huntley, dribbles around her defender in a game against St. Viator at the Dundee-Crown Thanksgiving Tournament on Friday, November 16, 2012. 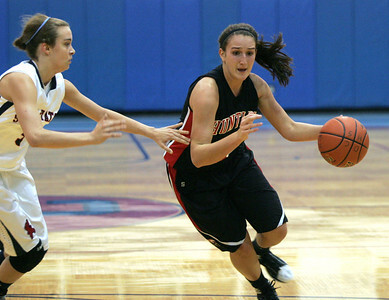 The Lady Red Raiders beat the Lady Lions 48-33. Monica Maschak - mmaschak@shawmedia.com Kayla Baretto, for Huntley, races down the open court with her teammates and opponents behind her in an attempt to score a point against St. Viator at the Dundee-Crown Thanksgiving Tournament on Friday, November 16, 2012. The Lady Red Raiders beat the Lady Lions 48-33. Monica Maschak - mmaschak@shawmedia.com Red Raider Ali Andrew shoots a free throw in a game against St. Viator at the Dundee-Crown Thanksgiving Tournament on Friday, November 16, 2012. The Lady Red Raiders beat the Lady Lions 48-33. 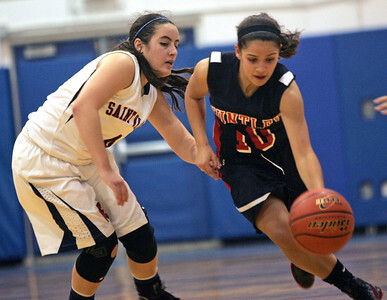 Monica Maschak - mmaschak@shawmedia.com Red Raider Kayla Barreto catches a loose ball in a game against St. Viator at the Dundee-Crown Thanksgiving Tournament on Friday, November 16, 2012. The Lady Red Raiders beat the Lady Lions 48-33. Monica Maschak - mmaschak@shawmedia.com Rachel Zobott, for Huntley, tries to dribble around the defending players in a game against St. Viator at the Dundee-Crown Thanksgiving Tournament on Friday, November 16, 2012. The Lady Red Raiders beat the Lady Lions 48-33. 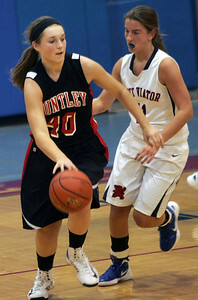 Monica Maschak - mmaschak@shawmedia.com Huntley's Haley Ream dribbles the ball past her opponent in a game against St. Viator at the Dundee-Crown Thanksgiving Tournament on Friday, November 16, 2012. Huntley beat St. Viator 48-33. Monica Maschak - mmaschak@shawmedia.com Huntley's Amanda Kaniewski attempts a point in a game against St. Viator at the Dundee-Crown Thanksgiving Tournament on Friday, November 16, 2012. The Lady Red Raiders beat the Lady Lions 48-33. Monica Maschak - mmaschak@shawmedia.com Sam Andrews, for Huntley, looks for an opening to the net in a game against St. Viator at the Dundee-Crown Thanksgiving Tournament on Friday, November 16, 2012. The Lady Red Raiders beat the Lady Lions 48-33. 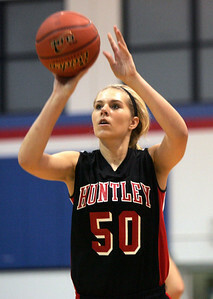 Rachel Zobott, for Huntley, tries to dribble around the defending players in a game against St. Viator at the Dundee-Crown Thanksgiving Tournament on Friday, November 16, 2012. 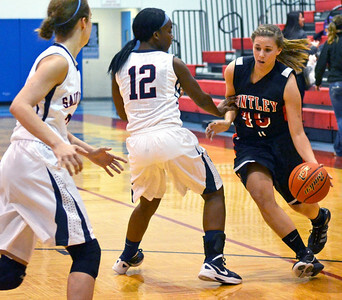 The Lady Red Raiders beat the Lady Lions 48-33.